It has been 4 Sundays since the series finale of True Blood aired and I have found myself lost in reflection. Yes, I have been keeping busy with a Skars-A-Thon but I have also been rereading some of my favorite fan fiction stories. This has led me to reflect on what we have done over the past couple of years in this fandom. 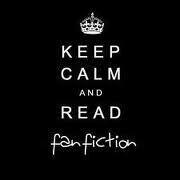 Especially with the fan fiction community and the stories these creative people produced. Now, as a reader, I love a good story… and would wait with anticipation for the email alert. Ahh, those were the days. Simple. Stories could be found on fanfiction.net without fear of being flamed (to be removed from the site) for daring to be a part of the Viking club (over 1000 reviews)…. or censored because the disciples decided a story needed to be censored. In present time, authors have been publishing on all different site beyond ff.net. Like in The Writers Coffee Shop, Fiction Pad or their own sites (WordPress, Live Journal, Blogspot) to name a few. So many choices, so easy to miss a new story… or lose an old favorite because it has been removed. Now, I have my favorite stories… and I am sure you have yours as well. I want you to let me what are your favorite stories know by filling in the form below. Our recommendations will be a part of an ongoing feature here at ESL. So my fellow ESL readers, lend me your stories!